With savings of more than £3,500 on some of the most popular Golfs and Sciroccos, these deals are not to be missed. 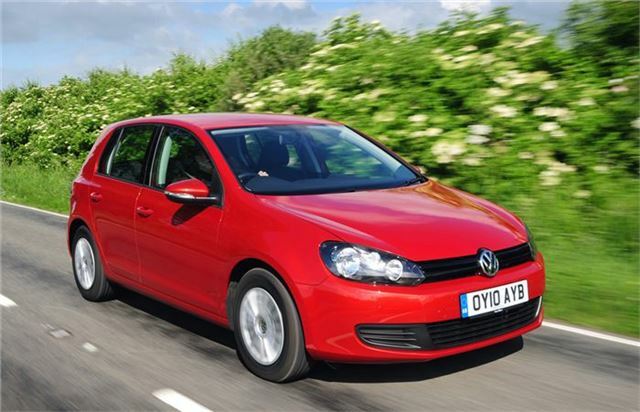 + The quoted price includes a £500 (Polo Match & SEL models), £1,000 (Golf Cabriolet, Touran, Scirocco & Sharan models) or £1,500 (Golf S, Match & Bluemotion models) discount which is conditional upon you taking out finance arranged by the dealer. If you do not wish to take out this finance then you will need to add £500, £1,000 or £1,500 respectively to the price that we quote. 0% APR Representative finance is not available with this offer. * Volkswagen is offering PCP finance at 7.9% APR Representative (4.9% APR Representative on Golf S/Match/BlueMotion, Golf Plus, Golf Cabriolet, Touran, Scirocco and Sharan models) over 18 to 36 months with a 2% minimum deposit. Alternatively, there is 0% APR Representative Hire Purchase finance with a minimum 40% deposit (Golf Plus, Touran, and Sharan). Terms and conditions apply. The dealer that we put you in touch with will arrange the finance if required. Subject to Status. Written quote available on request. Please note there is a 3-year/30,000 miles servicing plan available for just £99 if you take PCP finance with Volkswagen.